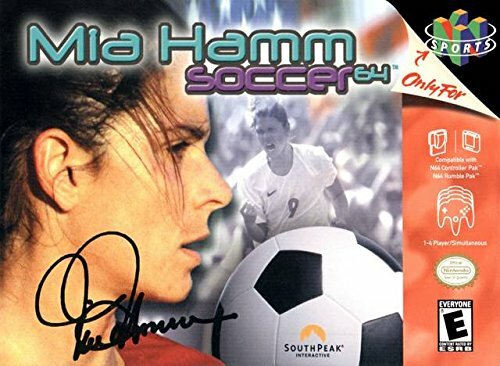 Mia Hamm Soccer 64 for Nintendo 64 allows you to join oin America's Olympic soccer hero Mia Hamm as she leads an all-star team through a variety of different challenges. Compete in a league, play exhibition matches or go for the World Cup. For 1-4 Players.